The Espresso Room is a haven for all coffee lovers. Visit us today, have a chat to our talented baristas and taste our award winning ONA Coffee with our house blend being the ‘Malawian Mocca’. 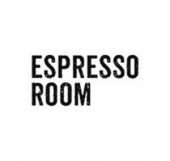 The Espresso Room offer all types of coffees, Adore Tea, sweets baked daily and specialty coffees including syphon and cold drip.